Famous gardener Margery Fish was once asked for the secret of gardening. 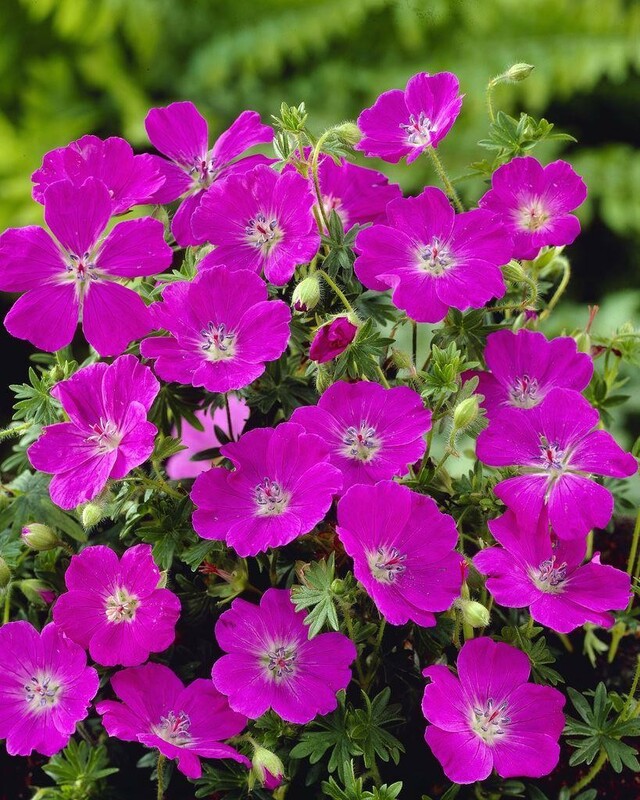 She answered 'The secret is, when in doubt plant a geranium!' and what finer choice than Max Frei we say! This is possibly one of the most under stated varieties available and should certainly be planted more often. Geranium sanguineum Max Frei has a nice spreading habit, finely divided dark green foliage and an exceptionally long flowering season. The blooms are produced in abundance and are deepest carmine magenta-purple. 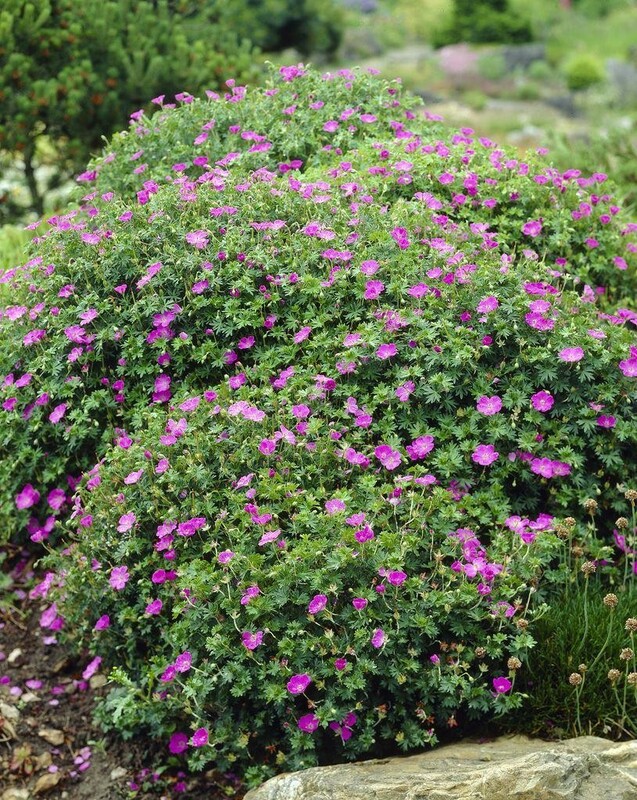 Blooming can start in May and may continue in to November in mild years. Supplied in approx. 2 litre containers.